Will Smith hasn’t been in a good movie since Men in Black in 1997. There, I said it, and it’s mostly true. Since then, he’s done a lot of fun fluff, but nothing that stands out as great: Wild Wild West, Men in Black II, Bad Boys II, I Robot, Hitch, I Am Legend, Hancock, Men in Black 3, After Earth, Focus. And even his serious stuff has been more cheesy than quality: Enemy of the State, Bagger Vance, Ali, The Pursuit of Happyness, Seven Pounds. My point is, Will Smith is an actor who we fell in love with in 90s, have followed ever since, root for to succeed, but who ultimately hasn’t panned out as a legitimate threat. His work is either over-silly or over-dramatic, and yet we keep waiting for him to have that impressive, break-out performance that establishes him as a Oscar presence. 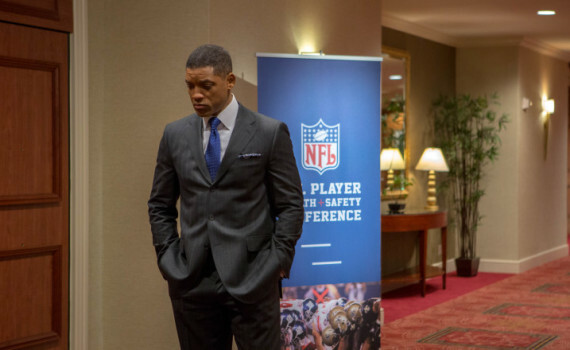 Concussion might be the closest we ever get to that (other than Ali, for which he was nominated for Best Actor, but let’s be honest; that movie was boring), but it still falls short of being special. 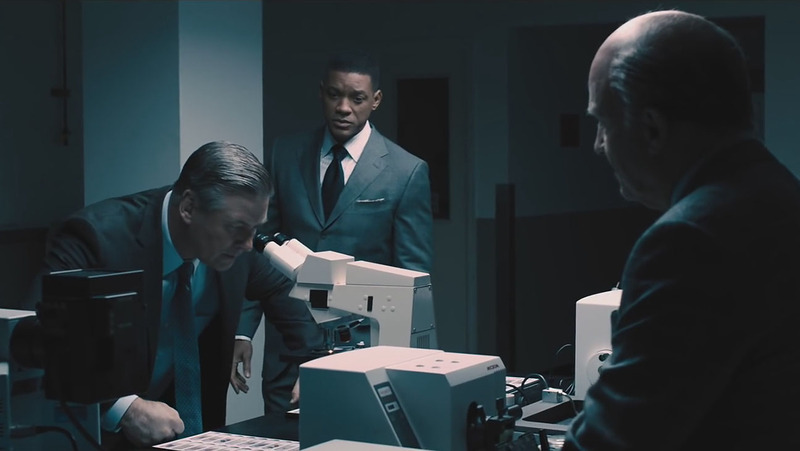 This is the true story of Dr. Bennet Omalu and his research as it pertains to head trauma, specifically concerning professional football players who receive constant minor & often major unseen brain injuries. While working in Pittsburgh for the coroners office, Omalu investigated the deaths of multiple former members of the Pittsburgh Steelers, uncovering startling similarities: aggression, mood problems, and death at an early age. Further research would lead Omalu to develop a theory on repetitive brain trauma, calling it CTE, a condition that was silently affected every person practicing a brutal sport. But when he brought this knowledge to the public, the NFL was quick to shoot his theories down, to claim that they were doing everything necessary to take care of their players, while at the same time those very players continued to die. I don’t mean to tear Will Smith down just to build him back up with a glowing review, and really I wouldn’t say that I support either of those extremes. He’s a good actor, a fun presence, someone we all like, he just hasn’t blown me away in all the years that I’ve been watching him. So there’s my backhanded compliment and here’s my take on his latest effort; it’s one of the best roles he’s ever played, while still not settling in as Academy Award worthy. He’s solid as Omalu, does a fine accent, remains believable throughout the film, keeps the action grounded around him at all times. But meanwhile, he never breaks out of the acting shell that I’m becoming more & more positive is the best that he can manage. 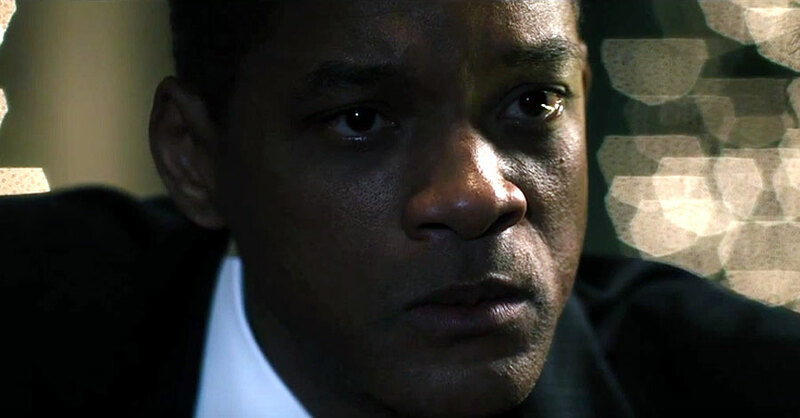 Perhaps Will Smith is only a strong actor and not a genius; is that an insult? He manages to do a fine job here, but can’t seem to take that extra step toward greatness. And as far as the film itself is concerned, Smith is the very best part. The rest is barely worth talking about. There’s the story, which is interesting and current, but then that’s about it. Does this film change the world because we never knew that getting hit on the head repeatedly was bad? No, life will go on, and so will the NFL, they probably couldn’t care less; no press is bad press, right? So Smith is fine, the story is relevant, but that’s where the positives end. Alec Baldwin with an odd accent, Luke Wilson as Roger Goodell, Mbatha-Raw with a completely extraneous character; the supporting cast didn’t do much supporting. The entire thing was a bit overdone, overzealous, and thinks too much of itself, wanting so badly to be an exposè when what it really does it expose its own weaknesses. Do you love Will Smith and hate football? Well, here you go, but beyond that there’s a reason this film gets solely mediocre reviews.